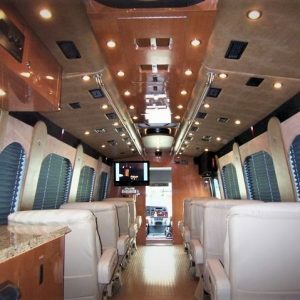 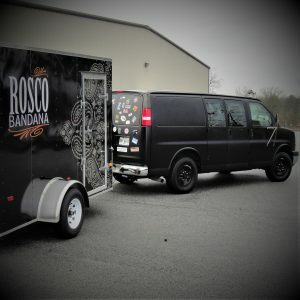 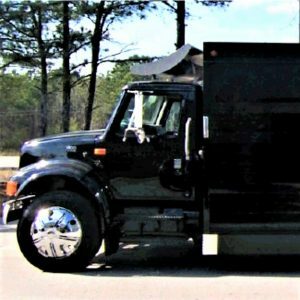 Remote Showroom | Atlanta Custom Coach Inc. 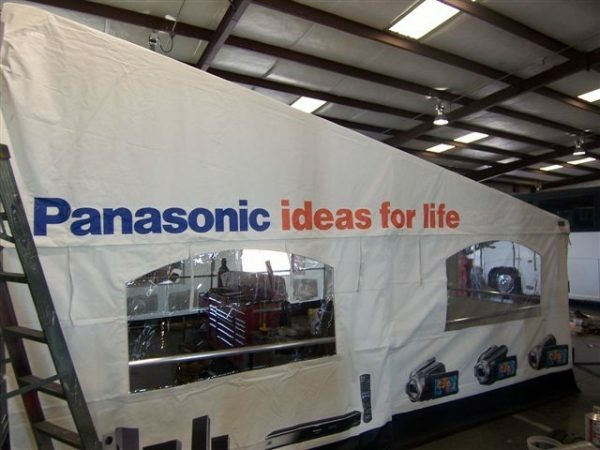 The vision…..Panasonic is an icon of electronics who often does road shows to display their latest equipment. 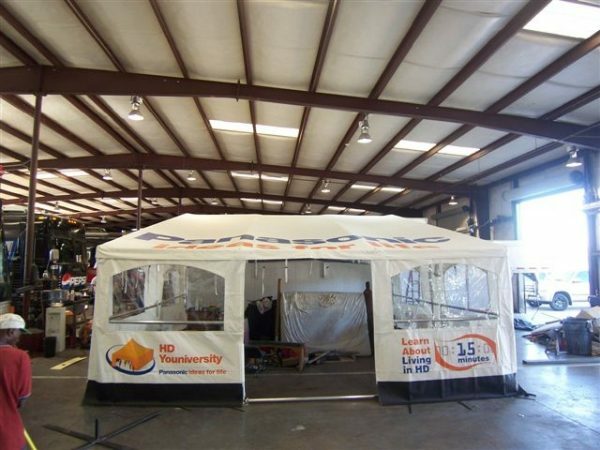 For many of the events, they would use outdoor tents to protect products and people from the weather. 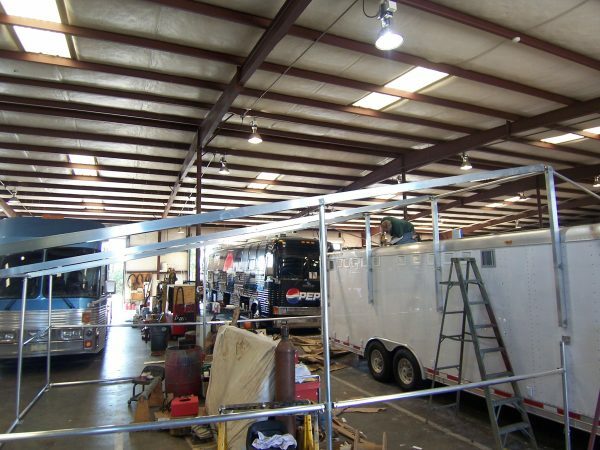 Unfortunately, electronics need power and cords leading to long set up times and tripping hazards for employees and guests. 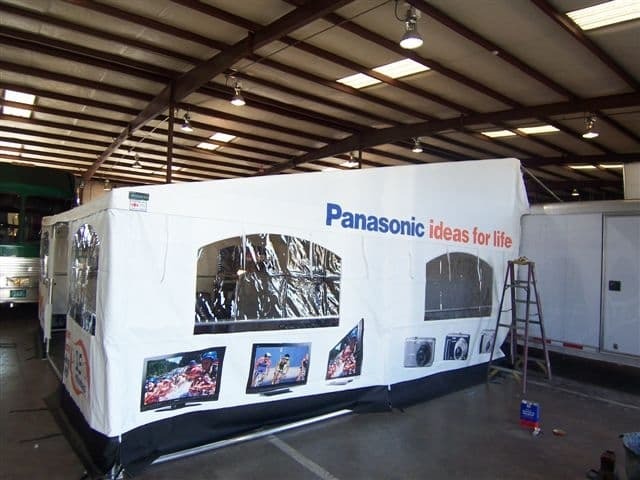 They asked for us to build a transportable showroom that already contained all the power and data jacks necessary for a quick set up. 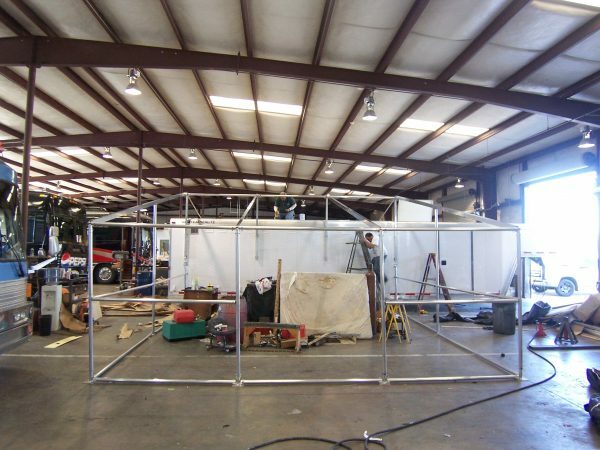 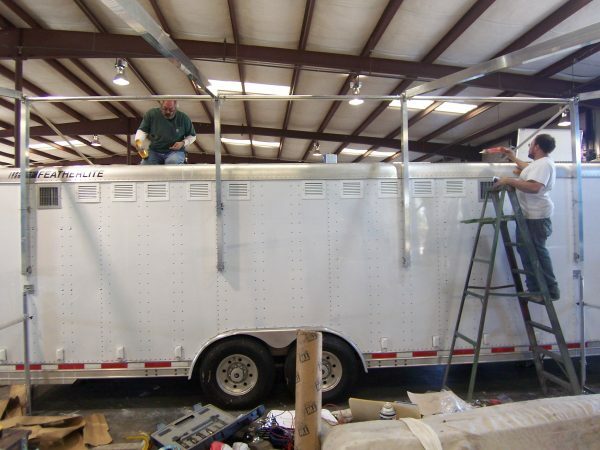 Taking a standard trailer, we built a collapsible external frame to hold a tent with permanent placements for the connectors on the outside of the trailer. A generator was added inside the trailer to reduce noise with exhaust out back for safety. We also embedded temperature control units with vents that blew air into the tents for extreme weather. 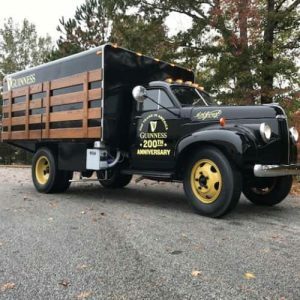 The unit drastically decreased prep time and considering all equipment was stored on the trailer, it was available on short notice.